This week's CAS challenge on SCS is a colour challenge - bashful blue, certainly celery & orange. 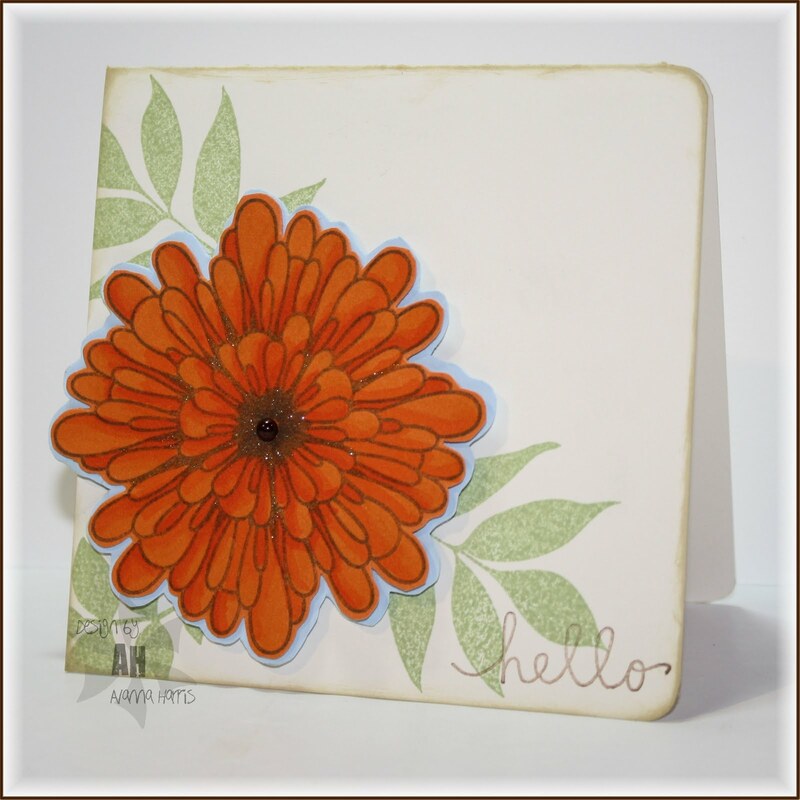 I used Joan's new technique and stamped the Marigold onto orange cardstock then blended in different shades with my copics. I fussy cut the Marigold, glued it to a blue layer and fussy cut that again to make a shadow. I stamped leaves on my base, rounded & distressed the edges and added the sentiment. To finish the flower off, I coloured the shaded parts with a glitter pen and added the pearl in the centre. These were fun colours for a card...hope you can make something with them too! !